Our Lego Harry Potter: Years 5-7 walkthrough will guide you through the beginning to ending moments of gameplay with strategy tips for this hit sequel to the previous Lego Harry Potter title for Wii, PC, PS3, and Xbox 360. The game will also be available on 3DS, DS, iPhone, PSP and PlayStation Vita. 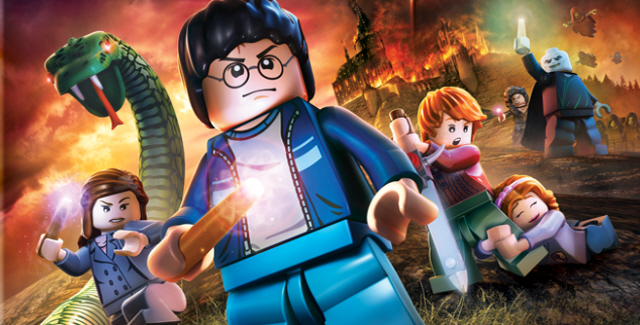 The action adventure series of Lego-fied Harry Potter continues in this familiar yet always fun franchise; with Lego Harry Potter: Years 5-7. This game combines everything you loved about the last Lego Harry Potter game and builds on it with the events of the latter half of the Harry Potter franchise. From Harry Potter and the Order of the Phoenix straight through to Deathly Hallows Part 2. Players get to tackle 24 specific Story Events, cast all-new Spells, use new Dueling Skills, get new Charms and interact with all-new characters. All with drop-in/drop-out cooperative play that makes it easier than ever to jump in with friends or family! Lego Harry Potter: Years 5-7 is rated E10+ for Everyone 10 years or older. This game includes Cartoon Violence and Comic Mischief. If you need help anywhere, check the FAQ section, and please don’t hesitate to leave a comment! Lego Harry Potter: Years 5-7 is based on the final three Harry Potter novels as well as the last four films in the series. Players step into Harry’s shoes on heroic adventures in both the Wizard and Muggle domains, from Private Drive in Little Whinging all the way to Diagon Alley, Hogwarts and Hogsmeade, players will also get to see all-new locations such as the Ministry of Magic, Godric’s Hollow and Grimmauld Place. Also on tap are new faces for players to see, new challenges to tackle, new magics and the ultimate face-off against Lord Voldemort. Building on the magical gameplay of the previous game, there are new lessons and potion-making skills for fans to learn, new foes to battle and new ways to equip fans to tackle the adventure ahead. In order to prepare for the ultimate battle with He Who Must Not Be Named. The developers at Traveler’s Tales promise that Lego Harry Potter: Years 5-7 is action-packed from beginning to end, and includes a ton of new spells, bonus content and lessons all in the same family-friendly Lego tone that players know and love. Lots of Story Building – 24 different story events have players returning to Hogwarts with 16 different lessons for fans to tackle. New Charms and Spells – Players will learn all-new Charms and Spells that include major powers like the ‘Unforgivable Curses’. The Showdown – Players need to master advanced Dueling Skills in order to fight off the Death Eaters as fans march towards the ultimate master of the game: the Dark Lord Voldemort in the flesh. Your Favorite Characters and More – More Harry Potter characters can be unlocked than ever before. Discover and play as over 80 characters including Professor Horace Slughorn, Bellatrix Lestrange and Fenrir Greyback. Easy Co-Op Play – Adventure easily with your friends or family via drop-in/drop-out cooperative play and dynamic split-screen! The Lego Harry Potter Years 5-7 walkthrough tips for Years 5 to 7 have all been added to this page for every level. Enjoy! Welcome to Lego Harry Potter! When you first start this mission, have a look around the playground and smash things! The more you smash the more coins you can collect. You will need to make your way through the gate and destroy the car and build the bridge. It is also a good idea for you to save up your cash and buy the multipliers, your stud count will be massive! Once you have made your way over the gate, you will need to head over to the purple plate and place the yellow block on the button, green next to the yellow block and place the orange on top of the green, this will allow you to climb up onto the ledge. Head into the tunnel and take out the Lego Dementors. After the cut-scene, we will head into a flying scene! Try and collect as many studs as you can whilst your flying over the River Thames. Once the flying scene is complete, you will enter a small cut-scene. Once the cut-scene is over, you will need to make your way over to the tree on the left and place the purple items on the indicated icon. When the tree starts to move down, you will have freed the middle Lego Character on your list. You will then need to make your way past the fountain in the middle of the square and smash the crate on the left hand side, put the pieces together to make a hammer, you will then need to use your spell to lift the hammer on top of the covered seating area to release the second character. For the final character, you will need to put the truck together that is on the grass near the fountain, once you have placed the cart together, you will locate your last character. Move the fountain statues so they all face into the middle of the fountain, you will collect a character here. There is a staff located on the floor near the fountain, you will need to return it it Mad-Eye Moody, Change over to Mad-eye and head through the gate towards the houses, this will activate a cut-scene. After the cut-scene you will have arrived in the Ministry of Magic. Let’s take a stroll around the Ministry of Magic and pick up some studs for your ever-growing stud-count. In the fireplace next to the blue cart, you will need to put the item together, this will allow you to get passed the barrier onto the other side of the Ministry of Magic. Once on the other side of the barrier, head towards the fountain, you will need to turn the red handle and put the item together. Head through the gate with the blue glittering arrow. You will see a Wizard who has lost his Toad, you’ll need to have a walk around to go and look for it. The Toad is located in the lift with the bent bars, straighten out the bars and empty the case inside the lift to find the Toad, give the Toad back to the Wizard. Put the item together and place it into the lift, Ron will need to put it together and place it in the lift. Make your way to the door located under the rooms, this will leave you outside in the streets, once you are outside, remember to collect the studs, you will also be able to collect the GHOST STUDS, they don’t count for anything but they lead you to your next location. You will need to follow your ghost studs to the gate and open it, once you have opened the gate, you will need to head down the stairs into the subway. Once you in the subway, you will need to make your way over to the train ticket machine and get your ticket and pass it to the conductor. This will cause the train to move and a small cut-scene will occur, once you have arrived at Hogwarts, you will need to collect the studs then head under the archway following Nearly Headless Nick. Remember if you lose him look for the Ghost Studs on the floor. Just before the cart, you will see three Lego bushes, head up the path onto the upper level, where you will need to pick up a wheel from the cart and place it on the larger cart. Make your way back to the cart and take out the little mushroom man, you will then need to build the item the cart leaves. Once you have placed the first wheel, you will be able to find the second wheel for the cart in the bush on the left hand side of the cart. Place the wheel on the cart and jump on board. Keep following Nick., Once you are inside Hogwarts, you will have Ron as a Companion, head through the door with the arrow above, you will then see a second arrow, turn the picture around, you will then need to give the girl character a pot of flowers, you will then be able to head through the door. Once you are out in the corridors of Hogwarts, you will see the Slitherin cupboard on the left, follow the sign to get a Student in Peril. Once you have found your student, head down the stairs where the arrow locates and follow on with Nick, remember if you lose him, you will be able to look on the floor at the ghost studs to locate the direction he has gone in. As your following on with Nick, remember to pick up and smash items to collect goodies and studs. You have now arrived in a class room, there is another Slitherin cupboard to open, place the item on the camera to activate a picture. Move around the class room pulling all the leavers and smashing the desks, you will then need to make your way to the back of the class room and hit the chest, put the items together to make the cauldron, you will then need to find the 3 items floating around the cauldron to make the potion. Take a sip of the cauldron and pick the strength item, you will need to pull the handle on the right and out the item together, this will activate a cut-scene. First thing you need to do is make your way over to the pipe and select Ron or any other character that has a pet and send the pet up the pipe. Once the pet has dropped the key, pick it up and place it in the door and keep following on with the Ghost Studs. Once Nick head through the wall, you will see a student who needs a ladle, you will need to head down the stairs and chase the student who is jumping about, he will drop the ladle for you and you can give it to the student who will open the wall for you. Head through the wall and follow on with the ghost studs, picking up normal studs as you go. Head through the door with the arrow, you will need to use your Lumos spell to move the vines out of the way. Now your on the bridge you will be able to see Nick in front of you, keep following him collecting as many studs on the bridge as you can. Whilst your heading across the bridge, change back to your normal spell. Keep following the studs, they will lead you to Hagrids house, you will need to use your Lumos spell to move the vines off the gate to head into Hagrids garden. Following the studs head up the hill and under the arrow into the forest. You will need to make your way up to where the Thestral is standing. You are going to need to find him a Fish, to find his fish, you will need to smash the items up around him and build a fishing rod, the rod will fish in the pond and give your fish. You will then need to jump down and watch out for those mushroom men, you will also need to watch out for the mud, jump across the mud and head through the log down to the area below. There is one of those cheeky mushroom men there. You will be able to use the mushroom to jump onto the upper level, using the Fern leaves as platforms to get to the Thestral. This Thestral is looking for a chicken leg! Smash the items around him to find his chicken leg. Only 1 more to go, jump down to the little creek and break the items that are blocking the tunnel, they will form a bridge allowing you to get onto the other side where the last Thestral is. You will need to pull the branch on the tree to drop another fish. You will then enter a cut-scene! Once you begin this level it is time to find Dumbledores Army! Just watch out for the water, it is very very icy and will turn you into an ice cube! Once you have started, you will need to have a bash around and use Hermione’s cat to do the digging section, Harry will then need to make his way over to the uncovered Soldier and give him a wand. The first character will cast a spell and dismantle the brick bundle, you will need to put the little bridge together and have a smash around, when you smash around there will be a couple of items you will need to put together. Once you have placed them together, you will need to move the pigs heads to open the gate and head up the path. Hermione will need to break through the gate on the left, there will be a ton of studs there to collect. There is a barrel located next to the shop, turn it over and there will be a Soldier located in the barrel, she is looking for a teapot. Once you have found the teapot, give it to her and there will then only be 2 more Soldiers to find. Head through into the next area and collect all those studs! You will then need to pick up the spade in the garden Hermione opened the gate to and give it to the Soldier, the last Soldier would like a bunch of flowers, once you have found the flowers give them to her, to find the flowers you will need to break the carts. Place the pipe onto its correct location, you will then need to use the cat to dig up the digging areas. The items on the floor will need to be put together, once you have placed them together put them on the sign, you will then be able to get into the building. There will be three characters in here that will need Items to be found. You will need to smash the barrels to find the mirror, Hermione will need to memories the code for the apple, and the doll can be found to the left hand side of the door in the puppet show! Once you have found all 7 characters, the army is complete! You will then enter a cut-scene. It is time to Duel! The first thing you will need to do is fine the camera, the camera is located on the chair on the left. Give it to the character and you will then need to open the door with the key. Head into the room and up the stairs following Nick. You have arrived in the room nobody knows about yet! You will need to have a good look around the area until the doors appear. Head through the door when it appears. All you need to do is match up your spell colour with your duelling partner colour. Once you have competed the duelling task, you will have the duelling ability added to your list.